Observation - Unidentified Moth - UK and Ireland. Description: Moth attracted to light trap. Is this a common or small quaker or something else? Moth attracted to light trap. 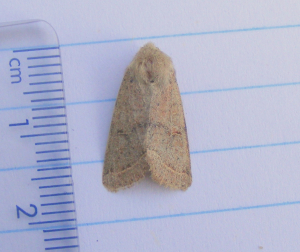 Is this a common or small quaker or something else?